Regional Representative for Western Europe, UNHCR Regional Pascale Moreau thanked Father Superior of the Svyatogorskaya Lavra for hospitality, good words and affairs. 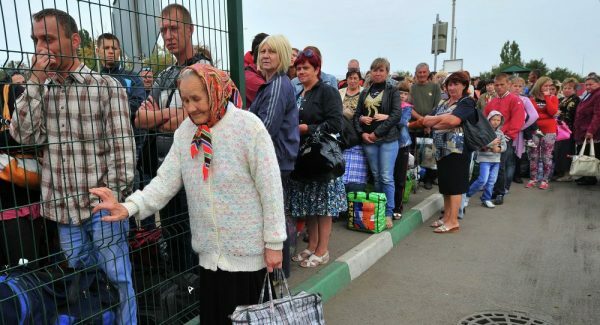 The lavra’s website reports that officials of the UN Refugee Agency in Ukraine visited this monastery in the Donetsk Region and talked to forced refugees, the lavra provide all necessary things for many of them. Father Superior Metropolitan Arseny of Svyatogorsk told them about activities of the monastery aimed at supporting people who were deprived of their homes during the war. “We came from various states and speak different languages, but still we have something that unites us – it is desire to do good. When Orthodox saints were asked what sanctity is they answered: it is persistency in doing good things,” he told the guests.